The crew's first scheduled task was to unload their Lunar Rover, which was stowed outside the Lunar Module, "like a piano tied to a truck,'' as Cernan later said when describing the job ahead of them. Using a series of lanyards, cables and hinges, they succeeded in lowering the ungainly machine to the Moon's surface and carefully assembled it, ready for the first of their three LEVAs. Cernan bounded into the driver's seat, switched on the batteries, and noted to his relief that all seemed to be in order. Electric motors on each wheel gave them driving power, so Cernan took the vehicle on a short test run, and reported that it worked perfectly in forward and reverse. ''What? The Earth?'' Schmitt replied. ''Just look up there,'' Cernan insisted. ''You seen one Earth, you've seen them all,'' Schmitt replied, somewhat flippantly. Chided for this seemingly blase reaction in Cernan's later autobiography, Schmitt revealed there was actually a reason behind his comment. His commander may not have thought he was looking up, but ''he didn't know I was! Prior to leaving their Challenger base, the two astronauts hammered a thin metal shaft into the ground and inserted an American flag. This flag had actually been carried to the Moon and back by the crew of Apollo 11, and it had been hanging in Mission Control in Houston since that time. Now it was back on the Moon forever. ''This is one of the proudest moments of my life,'' Cernan remarked, as he and Schmitt unfurled the flag. The two men then drove to an area where they were scheduled to deploy and activate a science station known as ALSEP (Apollo Lunar Surface Experiment Package), powered by a small nuclear reactor. This station included experiments to investigate gravity wave-induced oscillations, active and passive seismic activity, the composition of the thin lunar atmosphere, micrometeorite impact rates, heat flow from the lunar interior, and neutron and cosmic ray fluxes. As they were unloading their gear, the handle of a rock hammer in Cernan's suit pocket snagged on one of the rover's rear fenders, dragging it off. He quickly repaired it with duct tape and then began the laborious task of boring through rock with a special cordless drill in order to set up the ALSEP. He had to drill two 2.5 m holes, about 8 m apart, for the heat-flow probe, and then a slightly deeper one in which he would insert a probe for measuring the rate at which cosmic rays produce neutrons at various depths in the regolith. It also provided a core sample for later analysis back on Earth. Schmitt, meanwhile, was fully engaged in erecting the gravity-wave detector. It was arduous work for both men, and when it was completed they were forty minutes behind their LEVA schedule. Re-boarding the Lunar Rover, the two men heard that, because of the delay, plans for a mile-and-a-half trip to another crater had been curtailed, and they were directed to a nearby boulder field near the crater Stenno. Following their examination of the area, and gathering up some rock samples, they pressed on, but as they passed over a flat area the broken fender fell off, and the two astronauts were showered with a thick plume of dark soil. Apart from getting covered with grime, the astronauts knew they had to make repairs to the rover, as the dirt would make its way into some of the sensitive instruments they carried and cause them to fail. Filthy and exhausted, they arrived back at Challenger and cleaned each other off with a large brush they'd hung by the ladder for this very purpose. The following day, Cernan and Schmitt rigged up a makeshift fender for the rover, manufactured from their stiff geologic maps. The repair job was effective, and they set off to do some more work on their second LEVA. This time the rover took them nearly five miles from the Challenger to the South Massif, where they sampled boulders at the base of the south wall of the valley and explored an avalanche deposit that had moved out away from the Massif. 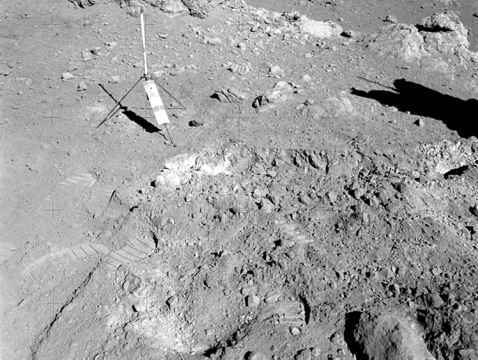 Cernan used a rock hammer and a set of tongs for most of his sampling, while Schmitt preferred a long-handled scoop with an adjustable head. They both had chest-mounted, 60 mm electric drive Hasselblad cameras to record their findings and any items or scenery of interest. Cernan's camera was loaded with colour film, while Schmitt's used black-and-white film for subsequent photometric measurements of materials in place. As Schmitt recalls, they worked well as a team. 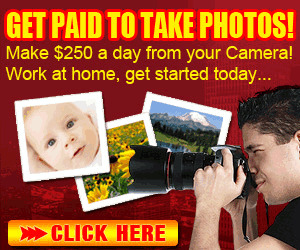 As the two weary astronauts returned from the South Massif, Schmitt was preparing to take some more photographs. 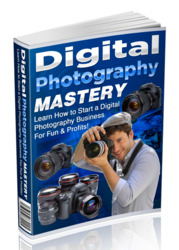 All of a sudden he began to cry out with surprised delight. He was about to announce finding something that certainly seemed to justify sending a scientist to the Moon. ''Hey!'' he exclaimed, as he kicked over an interesting patch of dirt. ''It's orange. I found orange soil!'' Everyone back at Mission Control sat up with the excitement evident in Schmitt's voice. It was in this area at Station 4 (Shorty Crater) that Schmitt discovered traces of orange soil during the second lunar EVA. The tripod-like object is a gnomon and photometric chart assembly used as a photographic reference to establish local vertical Sun angle, scale and lunar colour. Although it cannot be seen in this monochrome photo, the orange soil is situated midway between the gnomon and the small boulder at the bottom right. 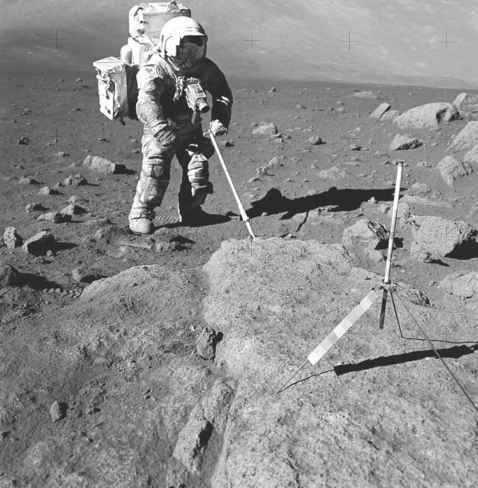 Schmitt collects a soil sample on the south side of the rim boulders at Station 5. 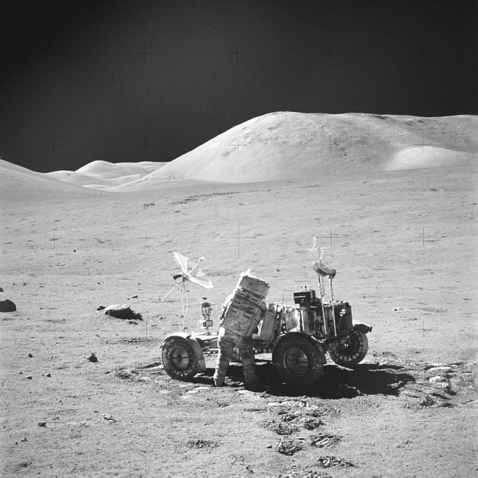 A panoramic shot at Station 7 shows Schmitt next to the Lunar Rover. In their three expeditions into the valley, the two astronauts drove their Lunar Rover about nineteen miles. For around twenty-two hours of the seventy-five hours they spent on the Moon, the two men were engaged in LEVA, during which they collected a record cargo of more than 100 kg of priceless lunar rock and soil samples, and took over 2,400 photographs.